The luxury carmaker will take control of its venture with Brilliance Auto for $4.2 bln, making it the first to take advantage of new rules. Share weakness has helped it drive a bargain, even if the deal doesn’t close until 2022. Others like Daimler may follow in the slipstream. 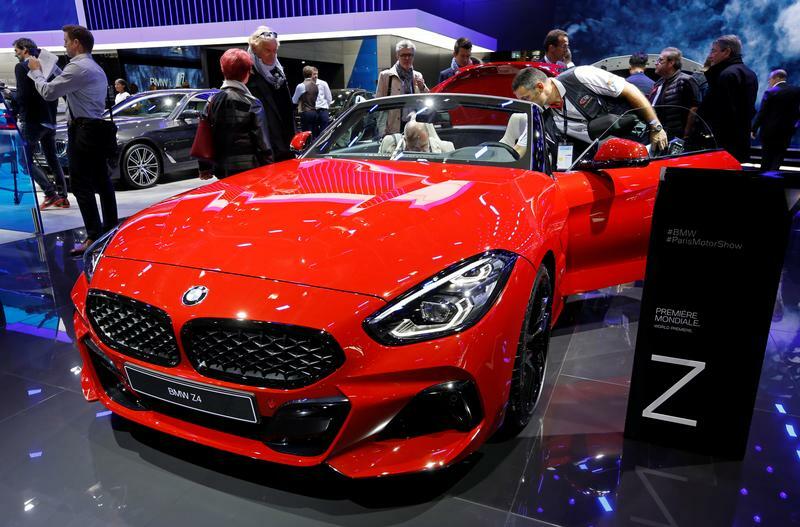 The BMW Z4 is seen on the second press day of the Paris auto show, in Paris, France, October 3, 2018. Germany's BMW said on Oct. 11 that it would take majority control of its main China joint venture for 3.6 billion euros ($4.2 billion), the first such move by a global carmaker as Beijing starts to relax ownership rules for the world's biggest auto market. The luxury carmaker will lift its stake in its venture with Brilliance China Automotive to 75 percent from 50 percent, it said. The deal closes in 2022, when rules capping foreign ownership for all auto ventures are lifted.